A beautifully designed wooden key rack made out of fir wood. The front center portion can be laser engraved alongside the bottom edge. 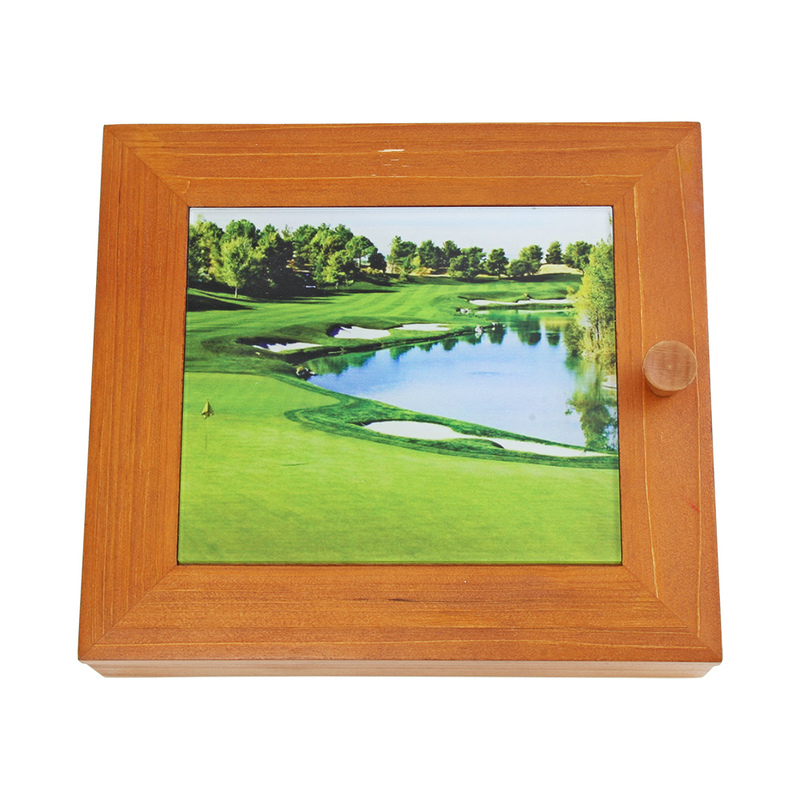 The box also has the option to feature a digitally printed acrylic plate for a more distinct display. The front cover is held closed by a strong, small magnet located on the edge to prevent the cover from opening by itself. Once opened, the cover can be swung open to approximately 90 degrees, giving access to the enclosed key rack. The key rack box also features pre-drilled slots on the backside for wall mounting. Acrylic plate option is not included and must be requested.